Open Source software is of great interest to many users and developers. One of the main advantages is that users can develop and adapt it to suit their purposes. This work shows modules developed into GRASS GIS for rockfall analysis. Modules examine both the potential failure detection (rockfall susceptibility) and the area of potential propagation. The study investigate three different mechanisms of failure: planar sliding, wedge sliding and toppling. The modules for rockfall susceptibility are called r.SMR, r.SSPC, r.fsplanar, r.wedgeSMR and r.wedgeSSPC according to the method of analysis adopted, while r.droka is the name of the module developed for the propagation of the landslide. Input data are both numbers and raster maps. GIS modules have been tested with good results in Ossola Valley and, in general, they should be applied in geological settings where the failure mechanism is mainly governed by discontinuity sets. 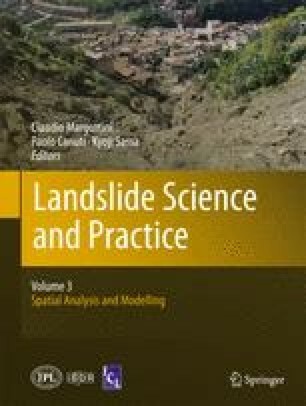 The authors are grateful to the Provincia del Verbano Cusio Ossola Geologic Service for providing data and laser scanner survey and to support the study.